John Ellman was once an acclaimed concert pianist. However, he was wrongly convicted of killing his wife and spent ten years in prison. Now that he’s finally been paroled, he can’t get anyone to hire him. Meanwhile, the judge who originally sent him to prison is in the news for having defied the mob and sentenced a well-known gangster to prison. The mob is out for revenge but, rather than take the fall themselves, they’d rather frame a patsy. And who could be a better patsy than a man who everyone already knows has a grudge against the judge? 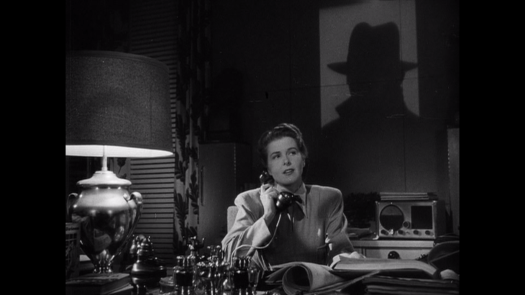 Nolan (Ricardo Cortez), a crooked lawyer, arranges for Ellman to be given a job. Ellman is told that he simply has to spy on the judge for a few nights to determine whether the judge is having an extramarital affair. Ellman agrees and soon finds himself being set up. The gangsters kill the judge and plant the body in Ellman’s car. Ellman is arrested and sentenced to die. It doesn’t matter that there are witnesses who know that Ellman’s innocent. No one is willing to cross the mafia. Ellman is convicted and promptly executed but his story isn’t over. 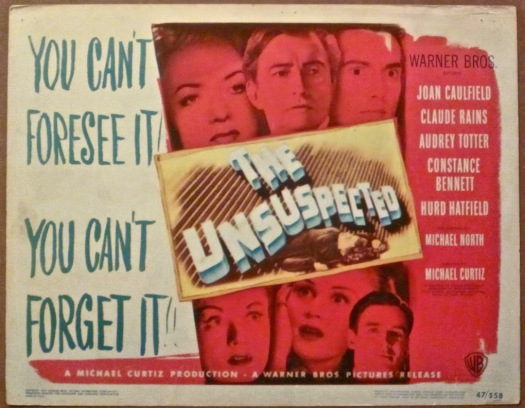 A scientist named Dr. Beaumont (Edmund Gwenn, who later played the man who might be Santa Claus in Miracle on 34th Street) knows that Ellman is innocent. He takes Ellman’s body and, through an artificial heart and a bunch of other science-y things, he manages to revive Ellman. John Ellman lives again! Of course, he’s a bit of a zombie now and he doesn’t have any memory of his former life. And yet, he instinctively knows who set him up to be executed and he sets out for revenge. What’s interesting is that Ellman doesn’t kill anyone. Even after he’s revived and presumably has no concept of right and wrong, John Ellman remains a rather passive zombie. For the most part, the racketeers die because of how they react to the sight of the previously dead Ellman coming towards them. For that matter, Beaumont isn’t the typical mad scientist that you might expect to turn up in a film like this. He’s a benevolent man who was simply doing what he thought was the right thing. Though the film ends with a warning about playing God, one can’t hep but get the feeling that, unlike Frankenstein, the film is overall very supportive of the idea of reviving the dead. Directed by Michael Curtiz (who also did Casablanca, Mildred Pierce, The Adventures of Robin Hood, and countless other classic films), The Walking Dead is a combination horror/gangster film. The film’s plot is a bit too convoluted for its own good but, overall, The Walking Dead works because of Boris Karloff’s performance. He’s poignantly pathetic as the living John Ellman and then rather chilling as the vengeance-driven, recently revived Ellman. The film’s most effective scenes are the ones where he just stares at his enemies, fixing them with a gaze that takes no prisoners and offers no hope. It’s a great performance that elevates an otherwise uneven film. 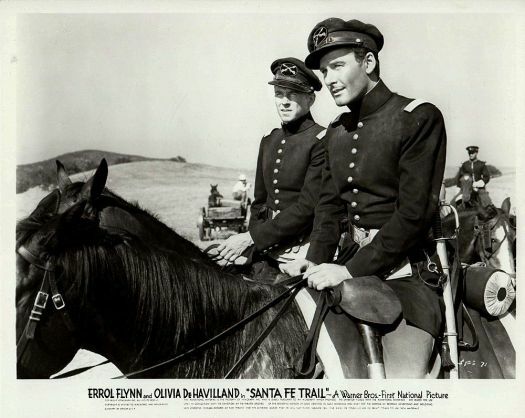 A movie lover could get pretty spoiled living on a steady diet of Errol Flynn/Warner Brothers epics from the 30’s and 40’s. You’ve got Flynn, the personification of the classic “movie star”, performing heroic feats and romancing his leading lady (usually Olivia de Havilland ). 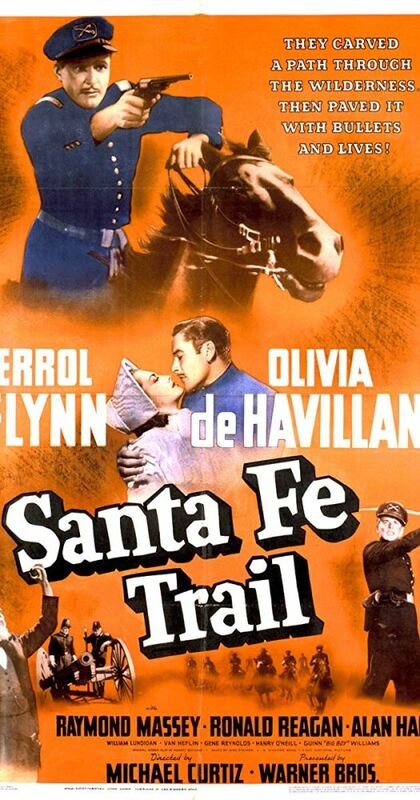 A historical setting serving as the backdrop to move the story along, expertly directed by Michael Curtiz or Raoul Walsh, a cast full of Hollywood’s greatest character actors, a majestic music score (mainly Max Steiner , but there were others equally as talented), action, drama, humor, conflict… what more could a film fan ask for? 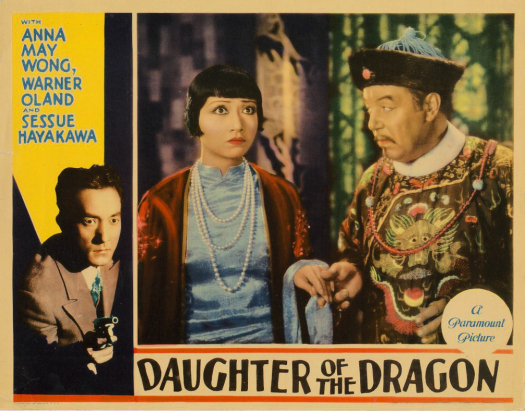 Cleaning Out the DVR #20: ALL-STAR PRE-CODE LADIES EDITION! 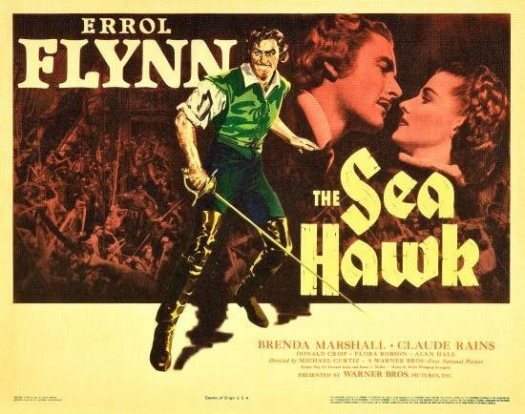 Warner Brothers pulled out all the stops for their 1940 epic THE SEA HAWK. 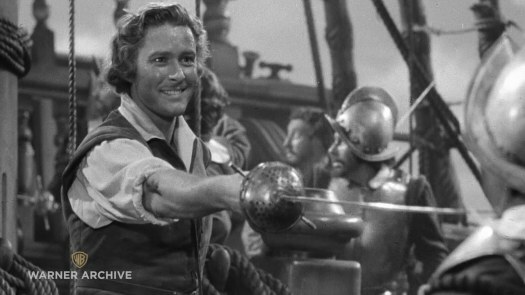 There’s dashing Errol Flynn swashbuckling his way across the Silver Screen once again, the proverbial cast of thousands, high seas action, romance, political intrigue, superb special effects, and a spirited score by Erich Wolfgang Korngold. The only thing missing that could’ve possibly made this movie better is Technicolor, but since Jack and his bros had already spent $1.7 million (equivalent to almost thirty million today) to produce it, why quibble? Tomorrow’s the big night, as my New England Patriots go up against the tough defense of the Philadelphia Eagles in Super Bowl LII. Tom Brady and company will be going for Ring #6, and everyone here in Southern New England is super excited, looking forward to another victory celebration! 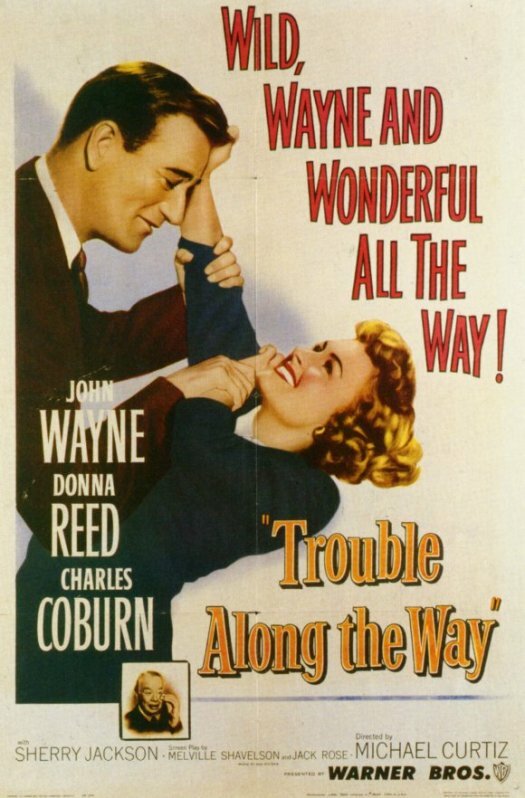 I’ll be attending a huge party with plenty of food, big screen TV’s, raffles, squares, and like-minded fans, but before the festivities begin, let’s take a look at TROUBLE ALONG THE WAY, a football-themed film starring none other than Big John Wayne !